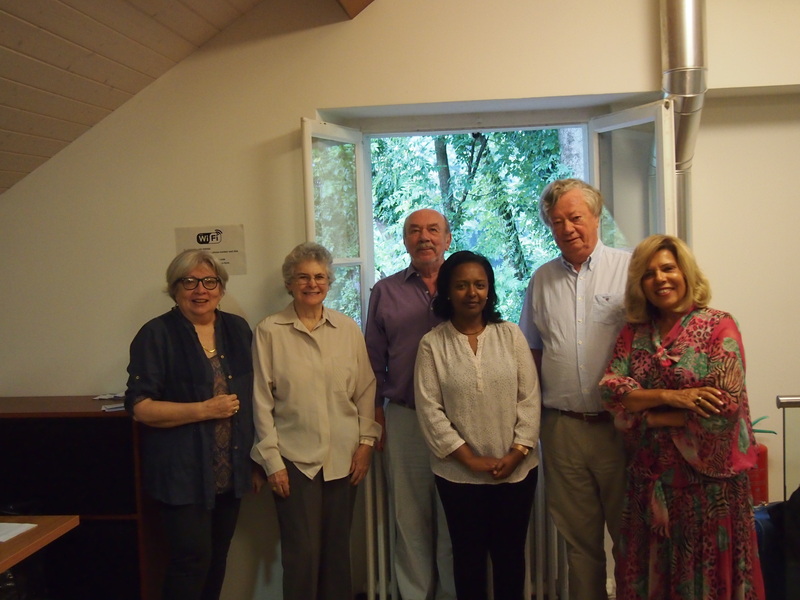 On 22 June 2015, Defence for Children International created the Advisory Committee (AC) to help guide and support DCI in protecting children’s rights. The AC is composed by renowned experts and advocates of children’s rights who provide and guide DCI with their expertise and sound knowledge. While it has no governing function, the Advisory Committee guides and supports the IEC in its role to define DCI’s advocacy strategy and lobbying actions and is therefore a crucial organ that helps ensure the success of DCI’s activities and programmes at local, national, regional and international levels. Click here to read the complete Terms of Reference. 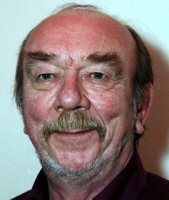 Mr Nigel Cantwell: After working for the now-defunct International Union for Child Welfare for five years, Mr Nigel Cantwell founded Defence for Children International in 1979 and remained with the organisation for 15 years. 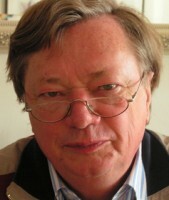 He then took on various roles with UNICEF and has been working as an international consultant on child protection policy since 2003, with a special focus on safeguarding the rights of children in relation to alternative care and inter-country adoption. Meskerem Geset Techane: Human Rights lawyer and dedicated advocate of women’s rights for the past 15 years, Mrs. Geset Techane previously served as High Court Judge in Ethiopia, and Deputy Director of the Institute for Human Rights and Development in Africa (IHRDA). In her extensive experience in the field of human rights and particularly of women and children’s rights at national and regional level, she initiated, participated in and coordinated numerous advocacy and litigation projects. She also facilitated and participated in several advocacy and legal reform ventures. Mrs. Geset Techane served as a member of the Board of Directors and Chair of the Fundraising Committee of the Ethiopian Women Lawyers Association, where she was awarded the prize for remarkable contribution. She also earned an award for outstanding pro bono legal service from the Action Professional Association for the People. She has worked closely with African and UN human rights mechanisms; in her most recent position she was Africa Region Coordinator in the context of the UN Global Study on Good Practices in Eliminating Discrimination Against Women and the UN Working Group on Elimination of Discrimination in Law and Practice. She was involved in drafting African Union human rights laws, policies and studies and performed as expert member in various Working Groups of the African Commission on Human and Peoples’ Rights as well as in different UN institutions, including UNHCR, UNICEF, and UNOHCHR among others. 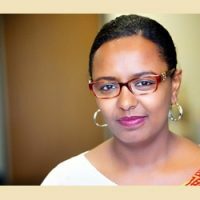 Currently Doctoral Fellow at the Human Right Center of University of Padova, Mrs. Geset Techane earned a LL.B from the Addis Ababa University and a LL.M from the University of Pretoria. She also followed an advanced course on Economic and Social Rights and is a PhD candidate in Human Rights and Multi-Level Governance, at the University of Padova, Italy. Mrs. Geset Techane has authored and contributed to numerous publications and researches on human rights and women’s rights, including training and educational materials for professionals. 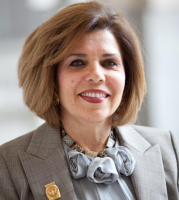 Ms Moushira Khattab: a career diplomat serving as Egypt’s first Ambassador to Nelson Mandela’s South Africa and to Czechoslovakia during its peaceful separation to the Czech Republic and Slovakia, Ms Khattab ended her diplomatic career as Assistant Minister of Foreign Affairs for International Cultural Relations. Ms Khattab is also a human rights activist advocating the rights of children and women who has been Vice-Chair of the United Nations Committee on the Rights of the Child. Read more (EN). Ms. Rosa Maria Ortiz: A Paraguayan citizen, Ms Ortiz has been working for the promotion and protection of children and human rights for over 30 years. She has been former member and vice-president of the UN Committee on the Rights of the Child (2003 -2011), member and vice-president of the Inter-American Commission on Human Rights (2012-2015), and adviser on human rights and cultural diversity for the Paraguayan Presidency’s National Secretariat of Culture (2010-2011). She is also founder and member of several human rights organizations, including Decidamos, Global, Tekoha, and Taller de Comunicación y Educación Popular. With the association “Callescuela”, she contributed to improving the quality of life of children and adolescents living on the street, through community participation, education, and support projects. 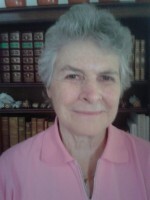 During Alfredo Stroessner’s dictatorship in Paraguay, she worked through ecumenical organizations in favour of the political prisoners of her country. In 2003 she was recognized with the award Paraguayan Women of the Paraguayan Presidency’s Women’s Secretariat, and in 2010 she received the award Peter Benenson for the Defence of Human Rights from the Paraguayan Section of Amnesty International. In 2014, the government of Mexico awarded her the international prize “For Equality and Non-Discrimination”. Currently she is doing advisory work throughout various regions of Latin America and the Caribbean in National Protection Systems for the rights of the child. Defence for Children International strongly believes that the experts that compose the Advisory Committee will not only help ensure the success of its activities worldwide but will also act as ambassadors for the movement and raise its profile wherever the occasion is opportune.